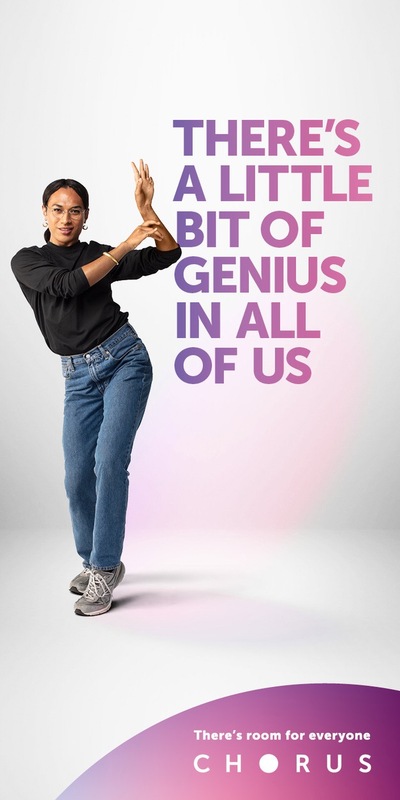 A playful take on reminding Kiwis that genius is everywhere, within all of us, is at the heart of the new brand campaign for Chorus, launched today by Saatchi & Saatchi New Zealand. ‘There’s Room for Everyone’ celebrates the myriad of reasons, uses and users of New Zealand’s own Chorus Fibre Network. 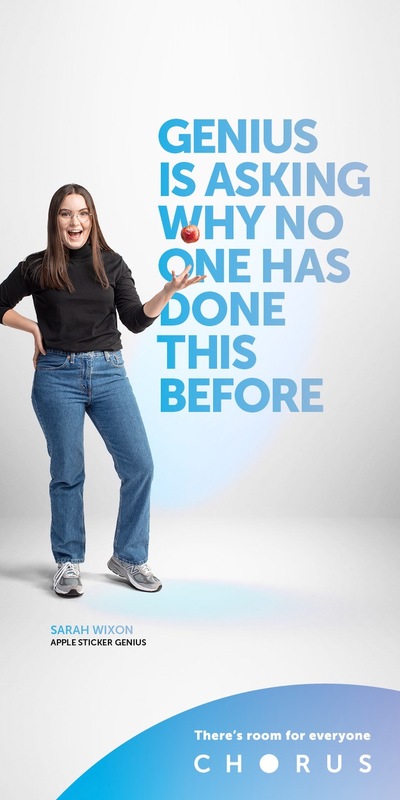 The true tales of six Kiwis embracing their own form of genius, in a collection of content films, are a cornerstone of the campaign and celebrate the realisation that distance, size and age are no longer limiting factors when it comes to claiming a world of opportunities for people in all corners of New Zealand. 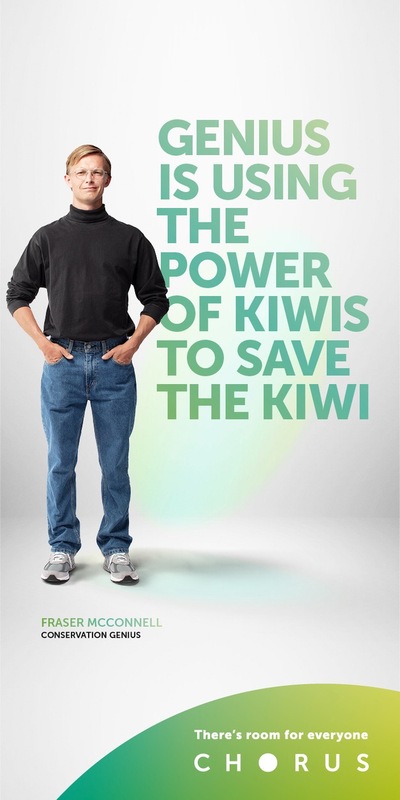 Aimed at re-introducing Chorus to Kiwis, the campaign redefines the role of the company as integral to connectivity and bringing to life great ideas and opportunities, driven by the progress of Kiwis themselves, with the multi-faceted campaign features cinema, TVC, digital, OOO, social and the collection of content films. Toby Talbot, chief creative officer, Saatchi & Saatchi New Zealand says the campaign is about encouraging the nation to stretch their imaginations and opportunities, with Chorus right behind them. Saatchi & Saatchi launched the ‘Ask for Better’ campaign for Chorus in 2017, ‘Stream Big’ in 2018 and a campaign earlier this year focused on sports streaming. Office manager? I don’t see them on the credits. Let’s be honest if you watch the ads. It’s just another bunch of vignettes of some people doing something? Even some of the people in the ad aren’t even in the ones you have to search for online. What’s with the Steve Jobs comedian and the bunch of guys having s funny chat under a tree. Is that meant to be genius. Having a chat under a tree? And the dancer? I know what most people that aren’t in our industry are going to say. I have no idea what that’s about. In fact that’s literally what my Mum said. Hang on, I just had to check to make sure she wasn’t in the credits. I think you’ll find it’s one of those ideas that are totally defensible from a strategy and clients perspective, but is always hard to execute well. In truth, it’s very similar to the type of bilge Spark pumps out: well meaning but safe and dull. And finally, as I always say in occasions like this, I’m glad to see a client spending money on TV and not some turgid social shite. I came to this website to find that info too. Sounds to me like David Bowie. Hope someone can help. Joy Division? Sounds like Ian Curtis with an 8os Dunedin band. Not contemporary though. It appears to be New Zealand artist Johnathan Bree but hard to determine if it was composed for the ad or from one of his unique musical stylings. Who on earth sings this awesome song. I love it. I thought it sounded like Johnny Cash. Song is by Jonathan Bree – Little A Bit Of Light. I think its Neil Diamond but I can’t find the song! Having a bloke singing “You’re a little liar” over the ad is a bold choice. 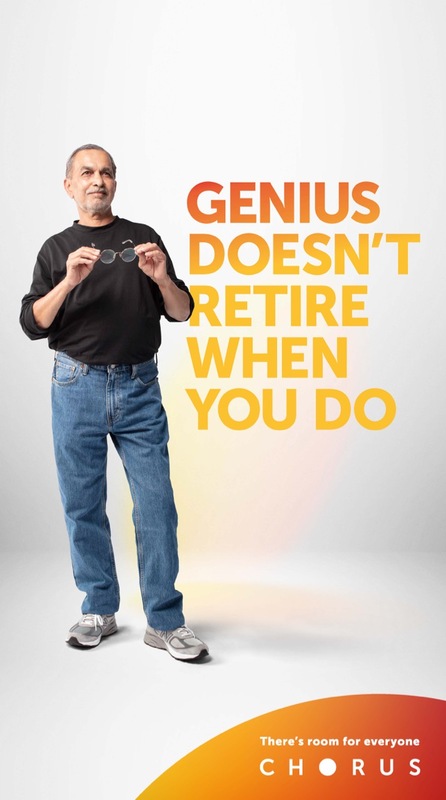 Do you have to wear glasses to be a genius?